Comments: Grows well in the average garden soil, it prefers moist, well drained, loamy ones. Can grow in fairly dry soils. To make the plant appear more neat and dense, cut back to about 4-6 inches after flowering. 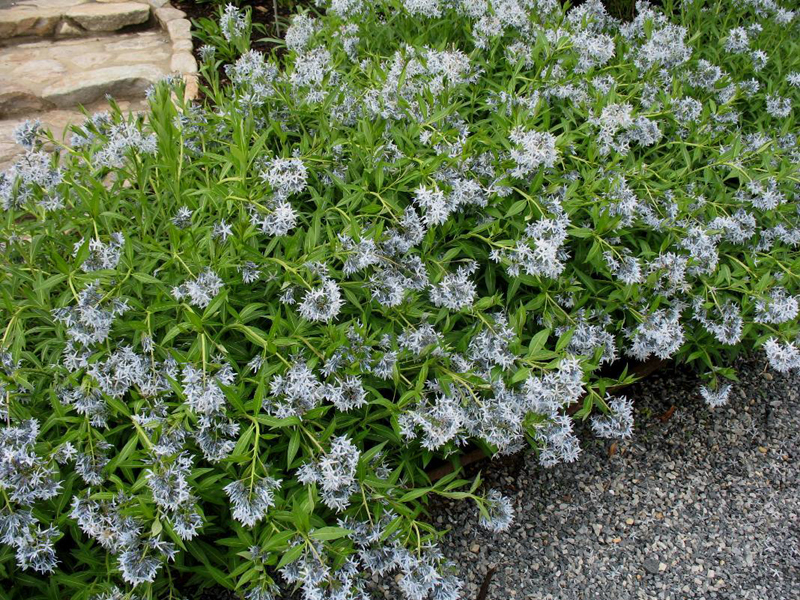 A cultivar with deeper blue flowers is 'Monatana'.